A couple of newspaper apologies caught the eye this week. 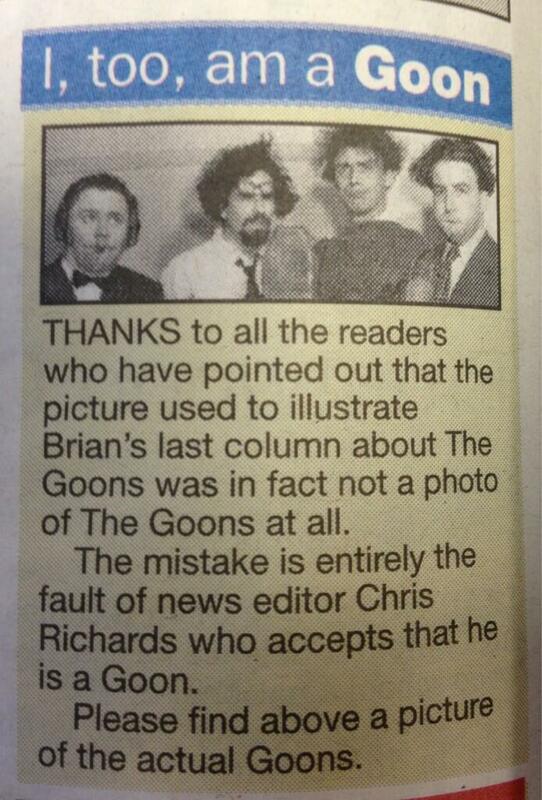 The top one is from the Brentwood Gazette in which news-editor Chris Richards confesses to being a Goon. 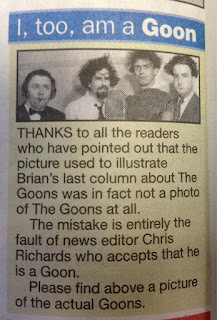 The other is a lesson, by The Sun, in how to deal with absurd lawyers' letters. Nice touch of humour from both papers. 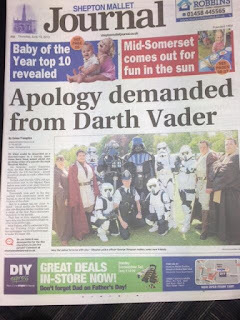 Meanwhile in Shepton Mallet an alien-related apology made it on to the front page of the Journal. 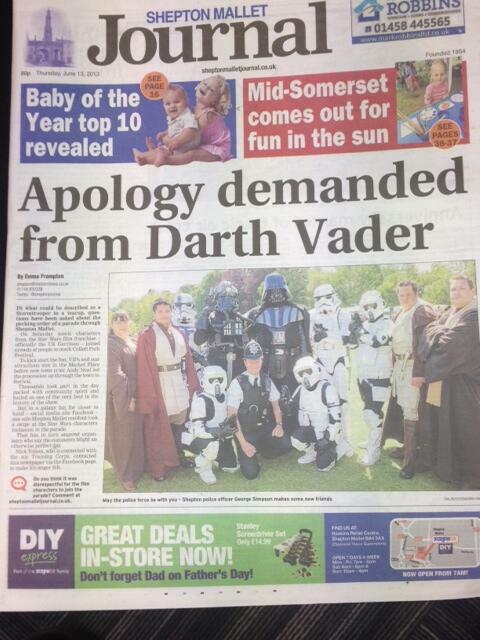 Darth Vader and his pals have apparently been overshadowing the military in a parade through the town. The silly season, it seems, is here.